Located at No.918, West Yan'an Road, one of the trunk roads in Shanghai near the Jiangsu Road Entrance & Exit of the Yanan Elevated Road, Jinjiang Metropolo Hotel Dahua is 10 minutes walk from the Jiangsu Road Station of Metro Line 2 and Metro Line 11 and within access to several bus lines (e.g. No. 57, 71, 76, 96 and 127). 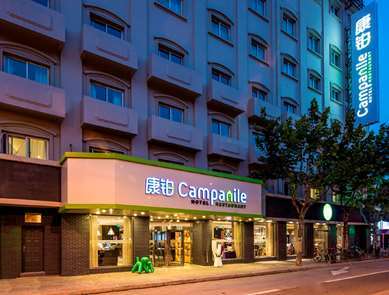 The Hotel is about 6km from Shanghai Railway Station (the newly-established station), about 15km from Shanghai Hongqiao Railway Station, 8km from Shanghai South Railway Station, 10km from Shanghai Hongqiao Airport, and about 50km from Shanghai Pudong Airport. 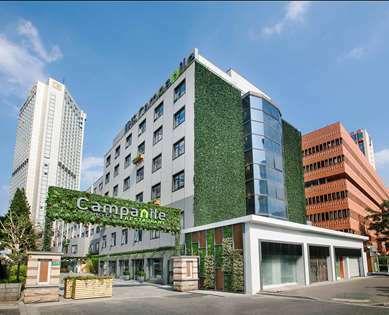 The Hotel is 6km from Shanghai Railway Station (New Bus Station), about 15km from Shanghai Hongqiao Railway Station, about 8km from Shanghai South Railway Station; about 10km from Shanghai Hongqiao Airport, and about 50km from Shanghai Pudong Airport. It is situated among the three business districts Jingan Temple, Xujiahui and Zhongshan Park, and within 3km to each district. The Hotel is a foreign-related hotel provided with Metropolo Cafe and free parking lot. Jinjiang Inn Jinjiang Metropolo Hotel Dahua used to be Dahua Department, which was built in 1934 and designed by Mr. Laszlo Hudec, the world famous master architect. Now, it has been officially rated as Municipal Excellent Historical Architecture. The apartment was completed in 1936 and started its operation in the next year. Within ten years before he left China, the world famous master architect Mr. Laszlo Hudec was living in Dahua Department. In 2011, Jinjiang International Hotels Development Co., Ltd. started the comprehensive transformation of the Hotel. Based on the need of social and economic development, the Company has created the new brand - Jinjiang Metropolo Hotel. Dahua fortunately became the first Metropolo brand hotel. The target market of Jinjiang Metropolo Hotel Dahua is the middle-class people who like fresh and elegant features, have petty bourgeoisie emotional appeal, enjoy healthy live, attach importance to soul feeling and exquisite life, and lay emphasis on cultural atmosphere. The hotel's function setting is to adapt to the guest markets focus on hotel lobby, guest room and catering, meet the guests basic needs in terms of sleeping, bathing, breakfast, guest reception and network, etc., and eliminate the supporting facilities irrelevant to the guests basic needs. The Hotel's main facilities and equipment: the main building is 10-floor high, and the side building has 4 floors. There are 111 guest rooms of various types, in which there are 22 suites of various types, 66 big-bed rooms of various types, and 23 double-bed rooms. The Metropolo Coffee House is located on the Hotel's first floor, and it provides Metropolo classic brand themed breakfast as well as high tea and Western-style simple meals. 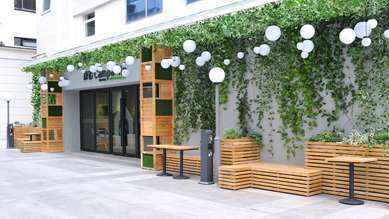 The self-service business center at the lobby and the fitness center in the south building are both a good helper for urban while collars to work and have a rest. The courtyard scenery in the Hotel provides fresh and elegant leisure landscape for the Hotel's guests.